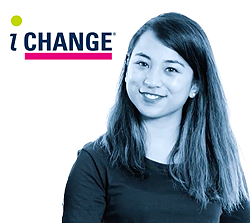 When you apply to study at CQUniversity, you may be eligible for credit based on your previous study and/or work experience. Credit will reduce the number of units you are required to complete. In some cases, this may shorten the time it takes to complete a course, or reduce the study load per term. Your application for credit will be assessed after you have accepted your offer with CQUniversity to enrol in a course. CQUniversity does not complete pre-assessments for students who have not received and accepted an offer at the university. CQUniversity has assessed a range of courses from external institutions to give students a guide of credit they may be eligible to receive. Please visit our Credit Calculator to search for your previous studies. Can't find available options that apply to your prior learning? Please submit a Credit Application Form and include details about your prior learning/work experience in the application to have your individual qualifications assessed. CQUniversity has articulation arrangements with a large number of Australian and international institutions. An articulation agreement is a defined pathway between CQUniversity and another education provider. The details for all articulation agreements are listed in the Credit Calculator. Further information can be found in the Credit for Prior Learning Policy and Procedure at policy.cqu.edu.au. * Not all courses and units allow prior experience as a basis for credit. Please refer to deadlines for credit applications and documentation requirements before applying. If you have undertaken study in the last ten years, or relevant in-formal or non-formal learning, you may be eligible for credit towards your course. Please note that some courses have reduced timeframes within which prior study remains eligible for credit. Full details on the requirements for each course can be found in the CQUni Handbook. International students can apply for a credit pre-assessment through iStart, our easy to use online application system for international students. For more information please visit the International Credit Transfers page. If you are a current or previous CQUniversity student, you only need to submit a credit application form if the units you previously studied have a different code from the units in your current course. In cases where the unit code is the same in both courses, credit will be applied to your record automatically and you do not need to submit a Credit Application Form. Students can perform a credit precedent search in the Credit Calculator. 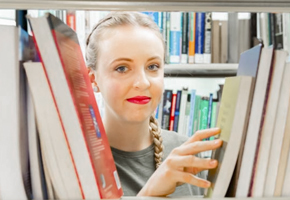 The search results will show you all of the relevant CQUniversity units that have been matched as equivalent against other CQUniversity units and courses. You can then apply for credit using the Credit Application Form. If there are no approved matches or equivalencies for your prior study, you can still submit a Credit Application Form. Students should list the units they would like to receive credit for in their application form. Please note that students are not required to submit any documentation for CQUniversity internal credit transfers, unless specifically requested by the Academic Pathways Advisor. If you have studied at another institution you may be eligible to receive credit for your previous studies. The first step is to perform a credit precedent search in the Credit Calculator. The search results will show you all the approved precedents that match your previous study to CQUniversity units. Once you have the search results, you can apply for credit using the in-built Credit Application Form. If the search does not return any approved precedents, students can still submit a Credit Application Form. Students should list the units completed at their previous institution they wish to be assessed for credit and the CQUniversity units they wish to receive credit for. Students in the Engineering and Information Technology, Aviation, and Built Environment disciplines, or in the Master of Business Administration, should read the Credit for Prior Learning kit relevant to you. These kits will assist you complete your application and outline additional documentation required. All other students, please refer to the Credit Calculator FAQ's page for further information on the documentation you are required to submit. All supporting documentation must be received before your application can be assessed. Please note that it is your responsibility to provide this documentation. We cannot contact other institutions or organisations on your behalf. Credit for degree-level qualifications can normally only be granted for qualifications at diploma-level or higher, however if in doubt, please contact us for further information. For certain courses, credit may be awarded for Recognition of Prior Learning. RPL may apply where a student can show evidence they have the skills and knowledge matching the learning outcomes and volume of learning of a particular unit. Students applying for RPL should read the RPL Guidelines Kit. This document will assist you to complete your application and outline additional documentation required. Please submit your completed mapping sheet (Appendix A of the RPL kit) with your supporting documentation through the Credit Application Form. Credit applications should be submitted at least four (4) weeks before the relevant term commences. Applications must be complete with all supporting documentation to be assessed by CQUniversity. CQUniversity cannot obtain documents from other institutions, organisations or individuals. To submit your application, please complete the Credit Application Form. To ensure your application is assessed for your commencement term, please carefully read the information contained on this web page and in the Credit Calculator FAQ's and submit your application and supporting documentation on time. Applications submitted less than four (4) weeks before term commencement will still be assessed. 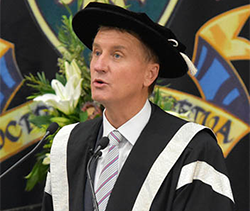 However, CQUniversity cannot guarantee that the assessment process will be completed and any eligible credit awarded prior to the commencement of term or Census date. Can I apply for credit pre-assessment? International students can apply for a credit pre-assessment through iStart, our easy to use online application system for International students. For more information please refer to the International Student Credit Transfer page. Credit for prior learning is a complex process due to the number of factors that need to be individually assessed. Your complete application* may take up to four weeks to be assessed and finalised. *Please note, a complete application is when CQUniversity has received all relevant documentation required to make an assessment. We will notify you of the outcome via email to your student account. You have until Census date to drop units for the current term without financial or academic penalty. Key dates, including the last day to add units and Census date, are listed in the Academic Calendar. 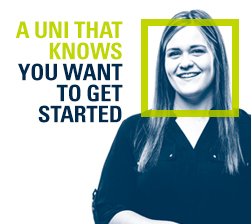 NB: If you are unsure whether your application will be approved, ensure that you apply early enough so that we have time to process your application and inform you of the outcome before the last day to add units as outlined in the CQUni Handbook. You can then adjust your enrolment to suit. Should you require any further assistance please contact our Student Advice team by calling 13 27 86 or send us an email via contactus.cqu.edu.au.